Boxwood Means | Small-Balance Borrowers Go Long With Life Cos.
Small-Balance Borrowers Go Long With Life Cos. Given the highly entrepreneurial, shorter–term focus of so many local small–cap property investors around the country, the significant general credit–cost hikes seen since early–May have arguably had a disproportionate impact on small–balance borrowing. Higher financing rates likely re–priced (or even terminated) some pending property trades, and presumably also cratered some rate–driven pending refinance transactions that hadn't been sufficiently locked. On the other hand, there are signs the quick up–tick in commercial mortgage rates is generating activity that might not have otherwise occurred among the small–balance space's longer–term players. With key benchmark indices already up a full percentage point – and further escalation likely over the intermediate term – many owners aiming to hold assets another decade or more are quickly opting to lock in the still–attractive prevailing rates before they turn even higher. In some cases this entails working with lenders willing to stretch well beyond the income–property sector's 10–year standard "long" loan term, and locking in historically low–priced debt for 15 or 20 or more – whether or not the refi is driven by a looming maturity. And it's no mystery that life insurers constitute the lender of choice for property owners pursuing such transactions – as long as they’re not compelled to stretch leverage to the utmost limits. But what may come as a bit of a surprise is that some life companies are actively lending long–term against smallish and older collateral assets even in obscure locations that wouldn’t even qualify as "secondary." Indeed just in recent weeks originators at the far–reaching NorthMarq Capital mortgage banking network have arranged extra long–term life company refinancings secured by small–cap collateral in off–the–beaten–track locales from offshore Nantucket, Mass., to Merced, Cal. in the Sierra foothills. Terms range to 20 years and occasionally beyond, with borrowers opting for parallel amortization schedules in most cases – even with 12– and 13–year deals. Not only are life cos becoming more competitive with coupons as market interest rates have moved up, they're also more borrower–friendly than most banks when it comes to personal borrower recourse. And as NorthMarq president Jeff Weidell points out in his latest commentary, many life companies offering long–term money are willing to negotiate prepayment penalties that become less onerous after 10 years. A typical borrower profile for such transactions is the long–time owner looking to lock in today's still–attractive rates while paying off the debt entirely over perhaps 15 years (or a bit less in some cases), explains NorthMarq vice president Jason Kinnison in Omaha, who has arranged a half–dozen fully amortizing loans from life companies so far this year. 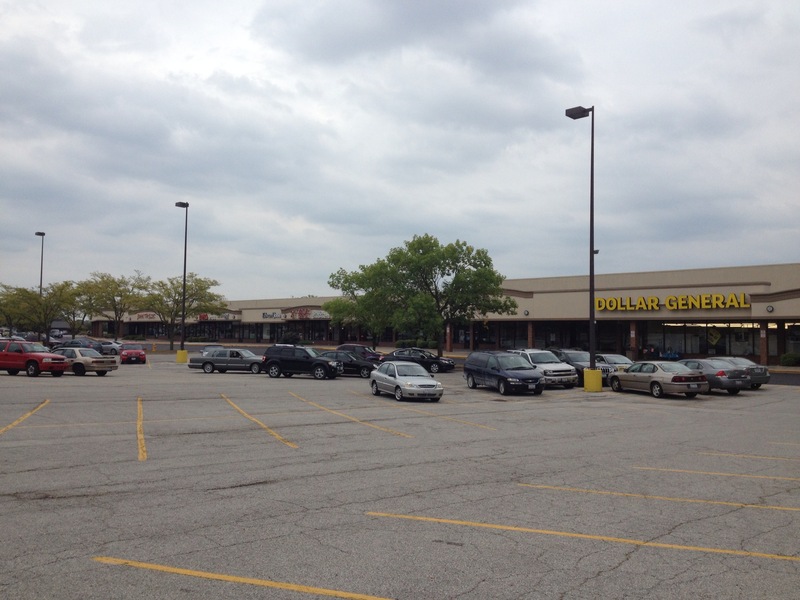 While solid community–serving retail properties are a preferred collateral class of life companies, one of the latest Kinnison–arranged transactions also illustrates that some are willing to lend even in an out–of–the–way market like Rock Island, Ill. (sub–40,000 population). Memorialized in song by its namesake railroad line, Rock Island is across the Mississippi from the (ahem) massive megalopolis of Davenport, Iowa. The bank offered to refi for a five–year term at full recourse, with the coupon quoted at 4.95 percent. The life company was willing to customize a non–recourse, $1.875 million loan fully amortizing over a 13–year term – and even at a slightly better coupon of 4.875 percent, Kinnison specifies. In fact Kinnison notes that all the life company transactions he has arranged this year have been entirely non–recourse to the borrower. Of course life companies stick with relatively conservative leverage, and in this case the lender preferred to keep the loan–to–value ratio at no more than 60 percent. The LTVs on Kinnison’s life company deals this year have ranged from 50 to 67 percent – the highest level secured by apartment collateral. Another rather remote location one might not expect to attract a lot of life company interest is Massachusetts' Nantucket Island – especially when the collateral property is of 19th Century vintage. But Boston–based NorthMarq vice president Doug Nickerson just arranged a $1.7 million refinance secured by the 5,897–square–foot multi–tenant Albert G. Brock Building along Main Street in the heart of Nantucket’s commercial district – fully amortizing over a 20–year term. Logically the location tended to limit the roster of lenders willing to help longtime owner Brock Building Trust meet its long–term financial goals – especially with the desired proceeds approaching $300 a foot, Nickerson acknowledges. "But the life company lender’s willingness to provide a long–term, fully amortizing deal with a locked rate proved very attractive." The latest quarterly lending–volume data from the Mortgage Bankers Association confirm what's become quite obvious to the NorthMarq team, which is well–known for its multiple life company correspondent relationships. As rate benchmarks have risen and credit spreads widened in recent months, life companies are more aggressively targeting lending opportunities. Overall life company commercial mortgage originations closed during third quarter spiked 72 percent over the year–earlier period, MBA reports. And not only are these lenders generally willing to offer non–recourse small–balance transactions, they tend to structure long–term loans allowing for assumptions of today's attractive rates if borrowers look to sell before maturity. "Life company debt is generally fully assumable," Kinnison relates. "This has been the case with all the deals I've closed this year."